As its name suggests the pygmy shrew is small. In fact at just 2.5 to 6g (0.09 to 0.2 oz) in weight it is by far Ireland’s smallest mammal and ranks as one of the smallest in the world. The pygmy shrew is our only shrew species, and along with the hedgehog, is one of only two insectivores (animals whose diet consists predominantly of insects and other invertebrates) found in Ireland. Adult pygmy shrews have a body length of between 4 and 6 cm (1.6 and 2.4 inches) and a tail that’s about 3-5 cm (1.2-2.0 inches). They have small eyes, a long pointed snout and long whiskers. Their body is covered with short, dense grey-brown fur that is lighter on the underside of the animal. Because they are so small pygmy shrews have to remain active more or less constantly. Their diminutive size means that they have a high surface area in relation to their volume – and that means that despite their dense fur coat they lose heat very quickly. To compensate shrews have a very high metabolic rate, which generates the heat they need to survive, but also means they need a lot of fuel relative to their body size. Basically for shrews resting is a dangerous business. A pygmy shrew needs to eat more than its own body weight every day to survive – and if it goes without food for more than two hours it could starve to death. Shrews have to stay active day and night, all year round. Pygmy shrews feed on insects, spiders and other invertebrates. They seem to have a particular predilection for woodlice. When foraging they rely on their sense of smell, touch and hearing more than their eyesight, which is thought to be poor. To extract as much energy as possible from their food pygmy shrews sometimes consume their own droppings, passing the food through their stomachs a second time to absorb more nutrients. Solitary and territorial in nature pygmy shrews don’t tolerate the presence of other individuals within their territory. They hiss, make high-pitched squeaking noises, and will fight if necessary to drive away intruders. The obvious exception is when males and females come together to mate. Mating is brief, and males soon leave. After a gestation period of 22-25 days the female gives birth to a litter of four to seven young. Births generally occur between April and September, peaking in June and July. Newborn shrews only weigh about 0.25 g (0.01 oz) but grow quickly and are fully weaned at around 22 days, when they leave to fend for themselves. Female pygmy shrews typically rear two litters each year. Pygmy shrews don’t live long, and have a maximum lifespan of about 16 months. In reality not many will make it beyond their first few months. Their small size and their need to feed constantly makes them particularly susceptible to unpredictable environmental change – like inclement weather – and sustained periods of bad weather can wipe out large numbers. They also have a host of predators that include owls, foxes, stoats and perhaps their greatest enemy, the domestic cat. 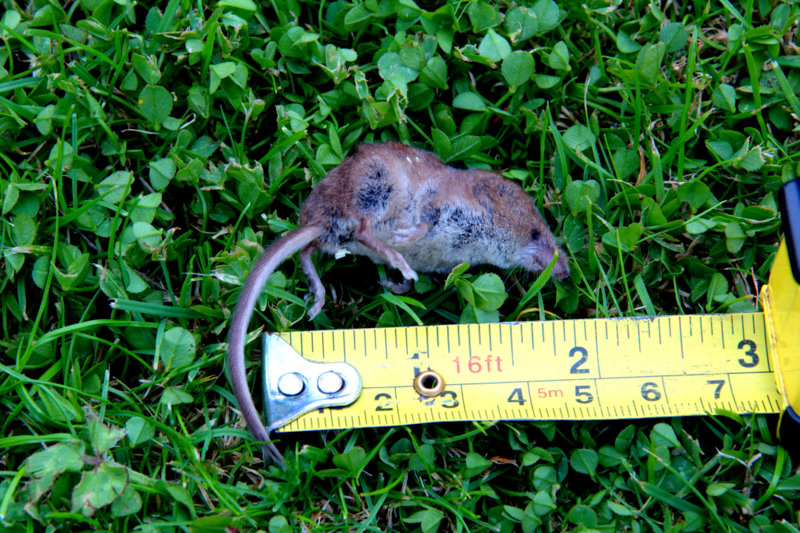 Pygmy shrews are common and widespread – occurring all over Ireland wherever there’s sufficient ground cover. Despite that they are rarely seen – mainly because of their small size and secretive nature. Unfortunately the only time many of us see a pygmy shrew is when the pet cat brings one back to the house. Other threats include habitat loss, intensive grazing and the widespread use of pesticides. Just yesterday,(4 August 2012), we trapped what we thought was a mouse, in our kitchen. When my husband checked the trap in the morning he found a shrew instead! I am wondering if shrews do come into peoples homes like mice do and live there? Have you heard of it happening before? From what I’ve read in your article, they live outside. It probably is the bad weather that has forced this little shrew to seek the comfort of the house to forage and take shelter. Hope you can shed some light on this as I would hate to kill any more shrews accidently! We will get a humane trap and lay it where I did see another one or it could have been the same one. Hi Surie, thanks for the comment. Shrews are strict insectivores and won’t eat the same range of food as mice. Because of their high metabolic rate they have to forage and feed almost incessantly to get the energy they need to keep going. They investigate every nook and cranny in their quest for food and occasionally find their way inadvertently into buildings. The fact the shrew ended up caught in the mousetrap is an unfortunate accident — it’s unlikely it was attracted by whatever bait was in the trap — it was probably just making it’s way along the edge of the skirting board or whatever the trap was set against and triggered the mechanism as it ran along. It’s the same with humane traps — shrews occasionally wander into them, not attracted by the bait, but looking for invertebrate prey. Because shrews have to feed almost constantly though many that get inadvertently caught in “humane” traps actually starve to death before the trap is checked. If you lay humane traps in an area where you know shrews are present you should check them every few hours and release any shrews so they can find their next meal fast. Hope that helps… and thanks again for the comment. Hi Calvin, few days ago I accidentally killed what I think was a pigmy shrew in our kitchen, thinking it was a mouse. Today another shrew walked across our living room, and disappeared before I could catch itI thought these mammals only lived outside. Is it possible to have a nest in the house? It’s unusual Noel — pygmy shrews are very territorial and tend to be very intolerant of one another. You don’t really get colonies living together. It’s also unusual to find them inside buildings, although not unprecedented. The recently introduced greater white-toothed shrew, which is spreading rapidly from the midlands to other parts of the country, is more social in nature, and I think does form small colonies over the winter — most of which it spends in a state of torpor / hibernation. Tipperary is where the greater white toothed shrew was first discovered Noel, so it could be a group of them I guess. Easiest way to tell is to look at the teeth on the dead shrew — if they have red tips (iron deposits) it’s a pygmy shrew, if they’re all white it’s a greater white-toothed shrew. As you say, probably just animals that wandered in by chance… I don’t think it’s anything to worry about unless you start seeing them more regularly. Well Calvin, 1o minutes ago my little friend reappeared, and I managed to catch it in a bucket. I released it down by the river in a little wood. As for looking into the dead shrew’s mouth I’ll leave that for another day ! thanks for your lovely article calvin. 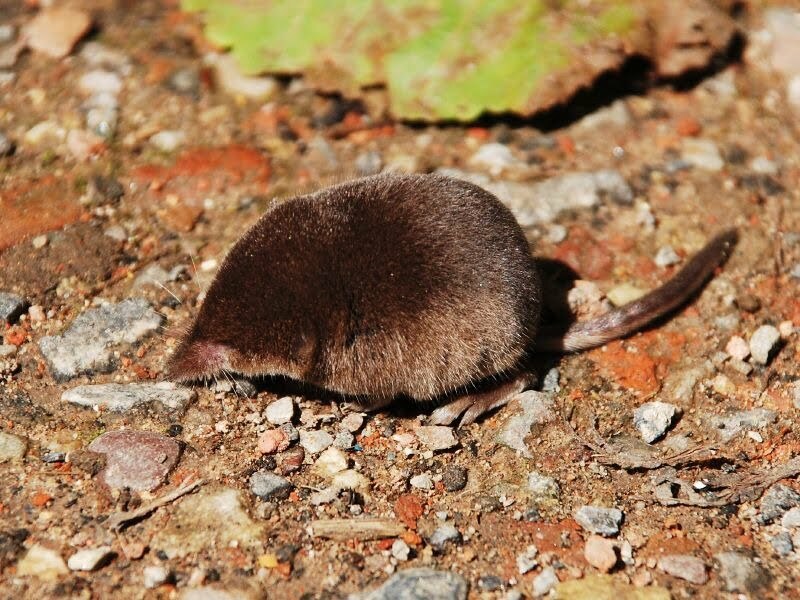 i googled irish shrew to look up..cos me and my dog came across one today on the path when walking, near lock 5 on the lough erne canal, ballinamore, co. leitrim. i think it was female. such a tiny little thing. anyway we had a look at it, and then i picked it up with some buttercup leaves and placed it up in amongest the grass on the bank. the dog snuffed it out on the way back to double check. i guess the cold weather got it. no snow here, but cold snap. you’re description of “Basically for shrews resting is a dangerous business. A pygmy shrew needs to eat more than its own body weight every day to survive – and if it goes without food for more than two hours it could starve to death. 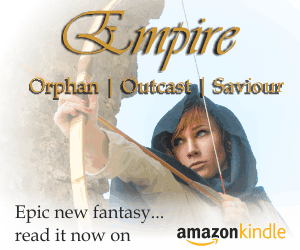 Shrews have to stay active day and night, all year round.” …my goodness i never knew. The cat got a shrew under the presses in our kitchen last night. The weather was a bit bad so maybe he came in to escape it. We are in Clare near Tulla. Hi Calvin – I live in Mayo and over the last 2 months I have had a cat that I have been feeding eat or bring to my door, a pygmy shrew, almost daily! it wears a collar and bell, I have recently learned that the shrew are endangered in Ireland and was wondering if you could give me some advice. Should I stop feeding her and hope she leaves. She came with a collar but has lived out side for over 6 months now. Hi Fran, thanks for leaving your comment. Cats can be a big problem for wildlife, and pygmy shrews, because they have to stay active and feed almost constantly on their invertebrate prey, are common targets. It’s hard to know what to suggest really — the only way to stop a cat that likes hunting from killing wildlife is to keep it inside — which doesn’t seem to be an option in your case. Pygmy shrews are widespread and common across Ireland and were classed as “Least Concern” on the Red List for Mammals in Ireland in 2009. That said there is a question mark on the sort of impact the recently introduced greater red-toothed shrew could have on pygmy shrew populations in areas where it becomes established. Whether you stop feeding the cat or not is your decision — it’s hard to say what impact that would have — she may move on, but would likely keep hunting small mammals as long as she is outside. Good luck, whatever you decide… and thanks for getting in touch. we have a noise in the attic and down the drylined walls but mostly in the attic for about 8 weeks now and have poison everywhere and big traps set with chease and peanut butter and have caught nothing. Woundering would it be a shrew and whats the best way to catch it. Hello,we have a LOT of little shrews living in our house. It’s an old stone farmhouse and we’ve seen shrews scurrying about since we moved in 13 Yeats ago! Lately there are quite a few as in we see at least one every day. I’ve caught and released 6 in the past few weeks! It doesn’t bother us too much to be honest bit wouldn’t like a complete infestation ! Thanks for your comment. Shrews shouldn’t really cause much of a problem… and unlike rodents they aren’t generally very social creatures. It is unusual for our native pygmy shrew to occur in numbers, as they’re mainly solitary and are very territorial. The recently introduced (and substantially heftier) greater white-toothed sometimes occurs in small family groups, but infestation isn’t generally a worry. They’re also insectivores, so won’t be attracted by / interfere with human food stores. I doubt they’ll give you any trouble. Today I saw a pigmy shrew on the bank of the river Shannon. So tiny. We live in Co. Clare and I thought we had a mouse as our au pair saw it, we placed traps and have seen tiny droppings but have caught nothing. Last night she saw it again as it was on her bedside locker and she said it was very small. Now I am wondering is it a shrew and if so please advise on how to get it out of my house as I have two small babies. my cats have brought in 2 Shrews in a few weeks (as well as a few other bits). How do I stop this? would bells work?? Unfortunately the only guaranteed way to stop it is to keep your cats indoors. Failing that yes, bells, or anything that will help warn wildlife of the cat’s approach, are a good idea, although some cats learn to hunt successfully while wearing bells. I have found FOUR shrews in the last four days in my bedroom. Even found evidence of them on my pillow one morning..! I’ve managed to catch three (all adult size) in a plastic bag that I’d put some peanut butter in the bottom of, and relocated them to undergrowth down the garden. Number 4 is still wandering the room somewhere, avoiding capture. What is going on that there are so many in one small room. It doesn’t fit with them being described as solitary, so could they have nested there?